Snow-tails. . .that’s what we’re calling cocktails and mock-tails made with snow. 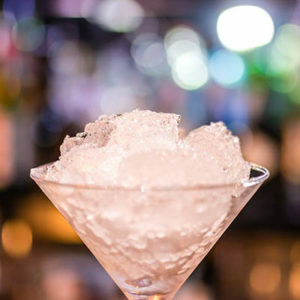 We’ve got some ideas for you, an Anthony DeSerio original Snow Swizzle, plus snow candy, snow cones, and more. It’s New England, people; it could snow well into March! We’ve got event and wine news, and Faith tries Cook’s Illustrated’s broccoli rabe under the broiler. Finally, Connecticut writer Tracey O’Shaughnessy joins the party to share essays and family stories from her excellent book, Put the Kettle On. She has a very interesting take on food and foodie culture, so bring your sense of humor and get ready for lots of laughter.